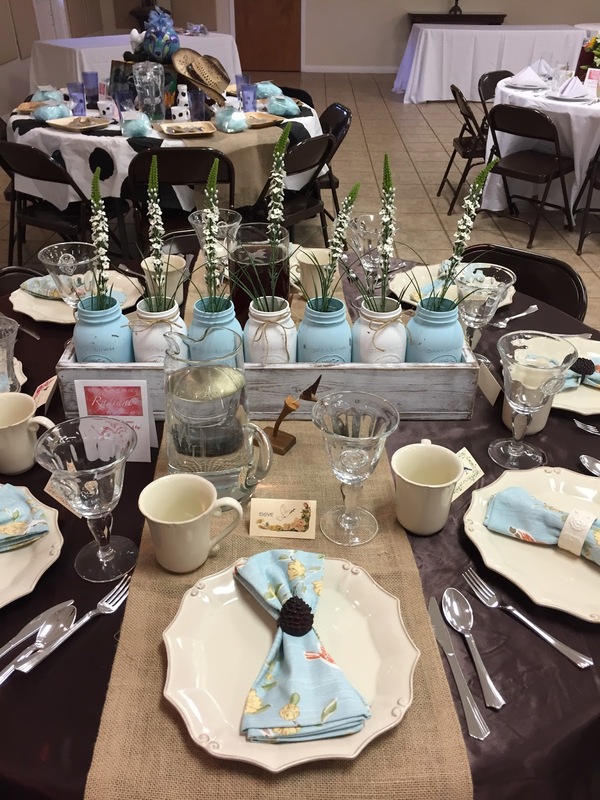 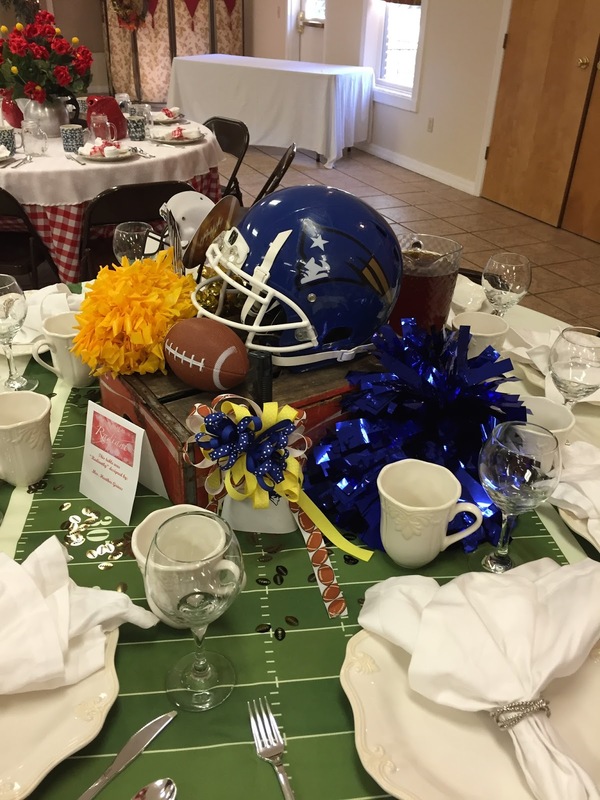 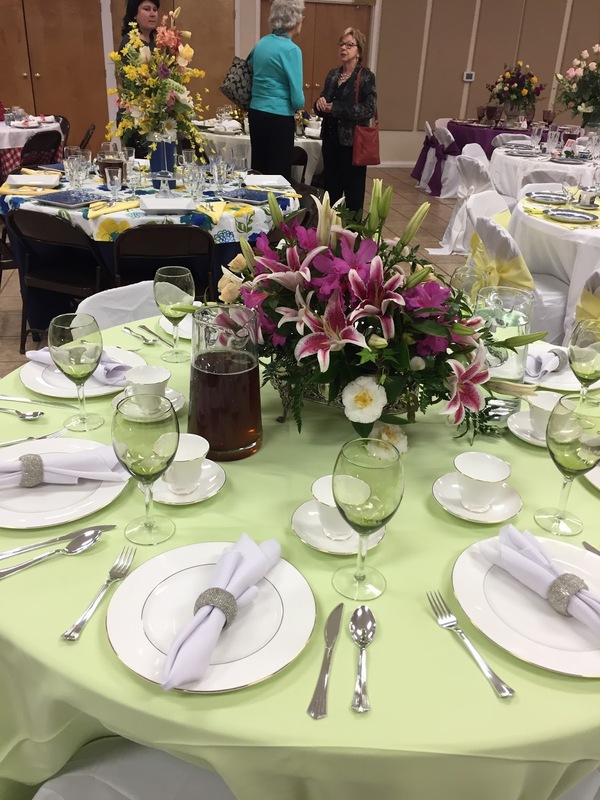 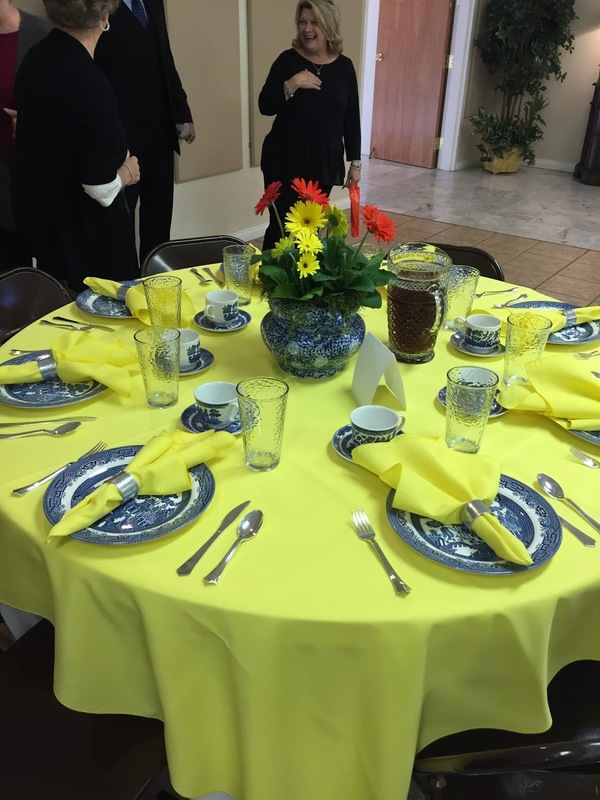 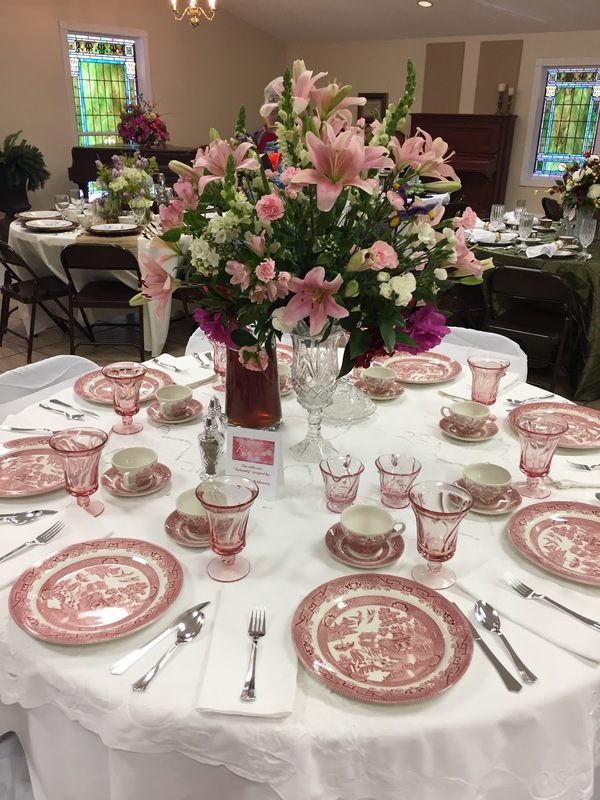 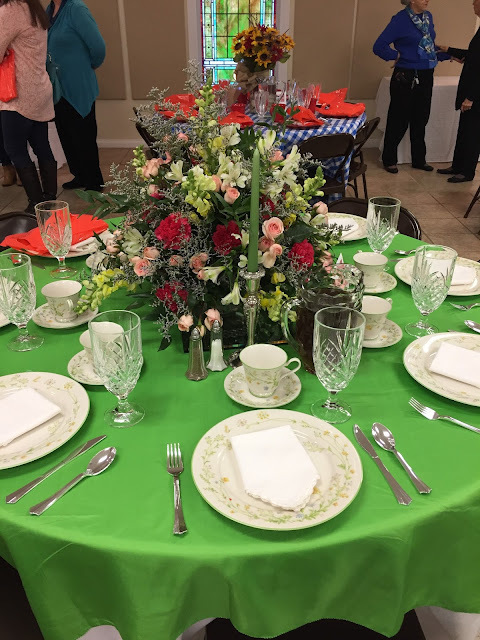 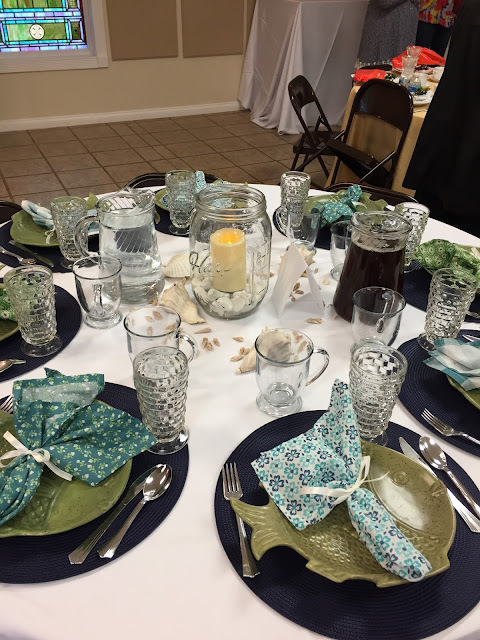 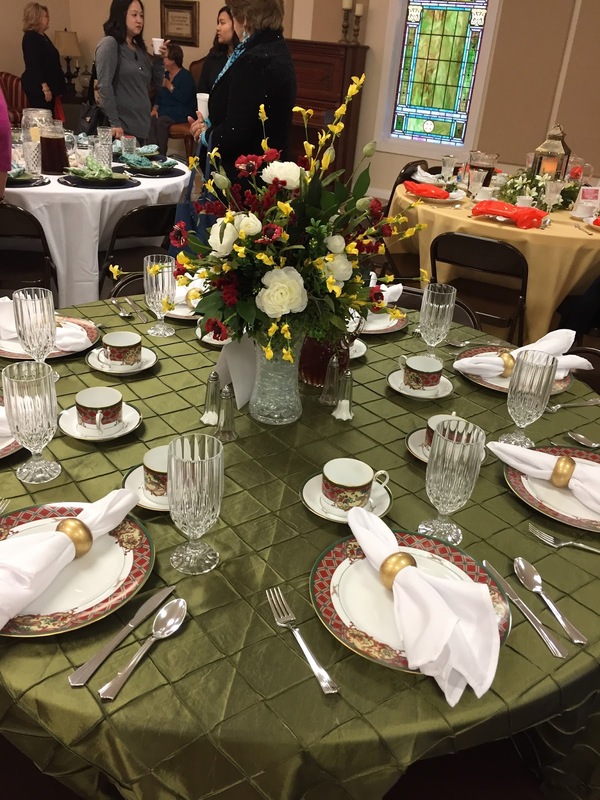 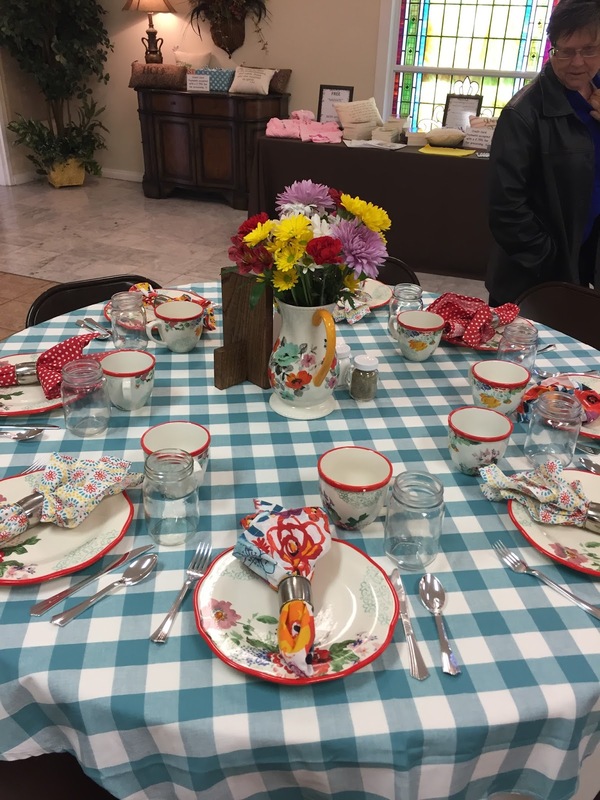 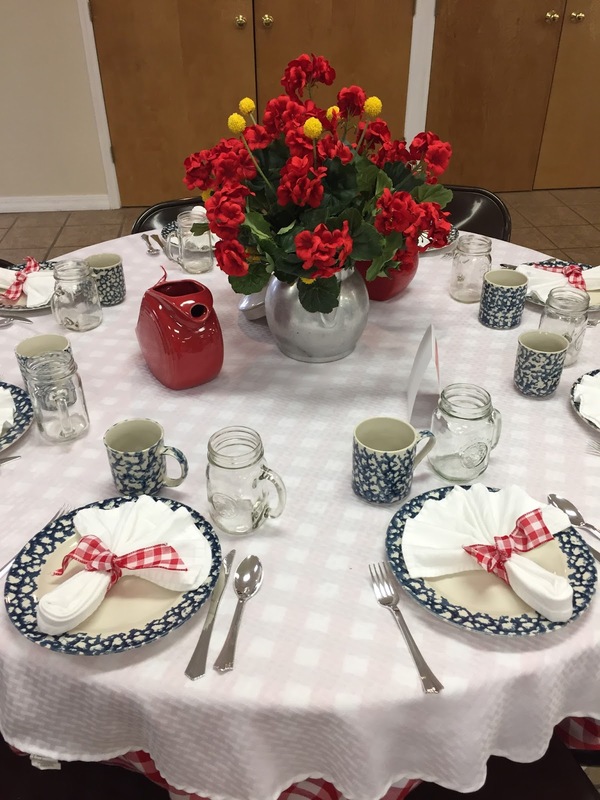 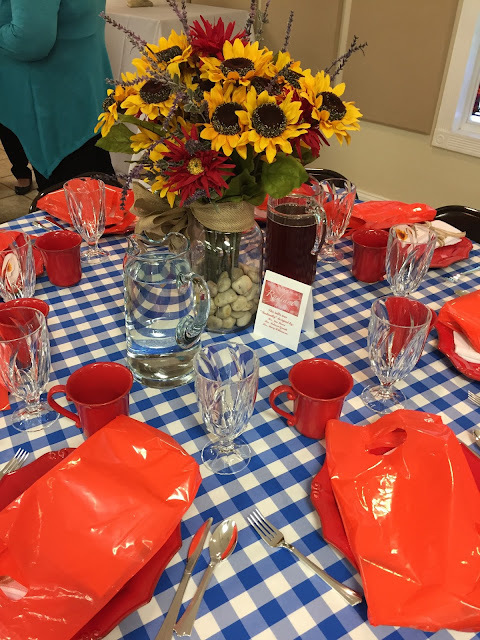 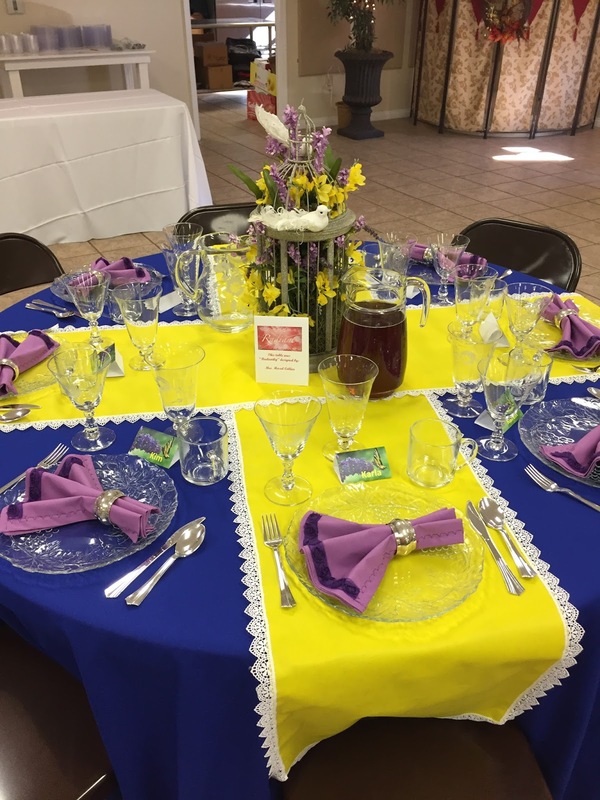 Every year the ladies of First Baptist Church in my home town host a ladies conference and luncheon. One of the things they do to make it extra special is to go all out decorating the social hall where lunch is served. Choosing any theme they want, they decorate a table and invite others to come to the conference and sit with with them during lunch. 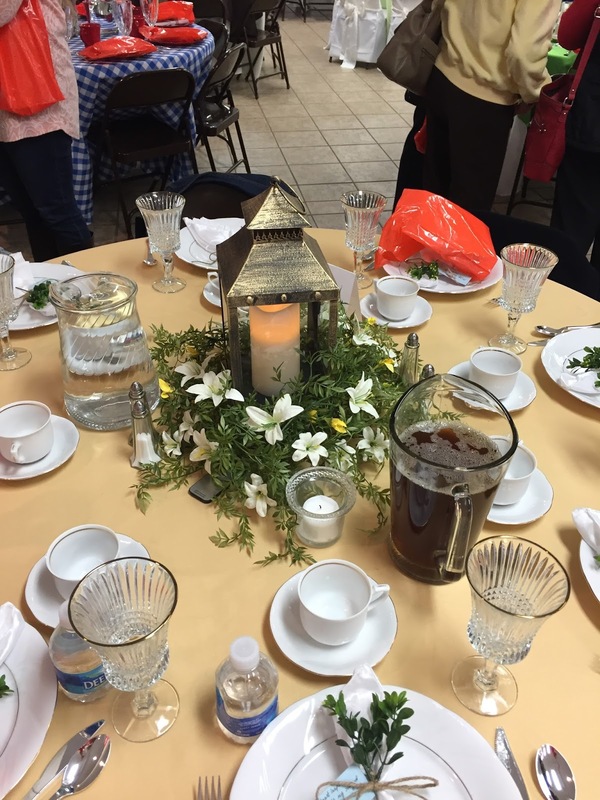 They also serve the ladies at their table during this time. 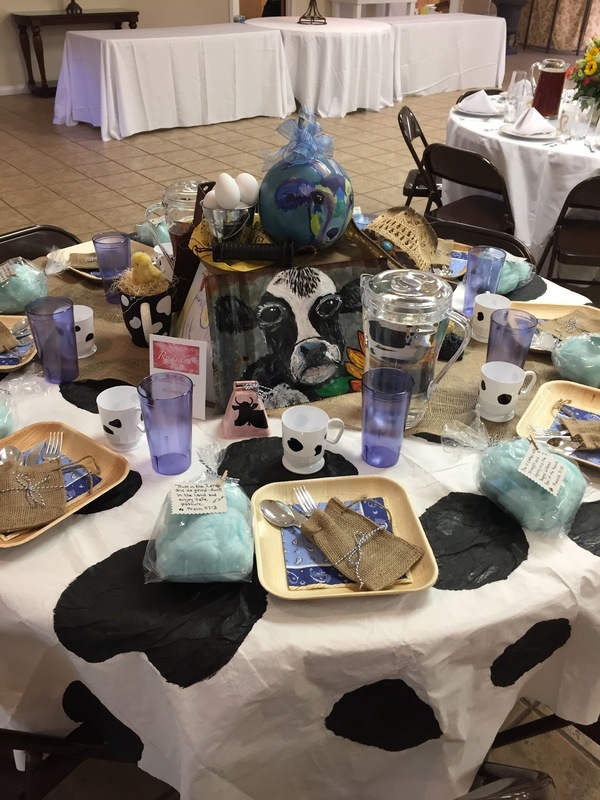 I wanted to show you all of the beautiful tables....I think I have pictures of them all. Not sure I could pick just one favorite! 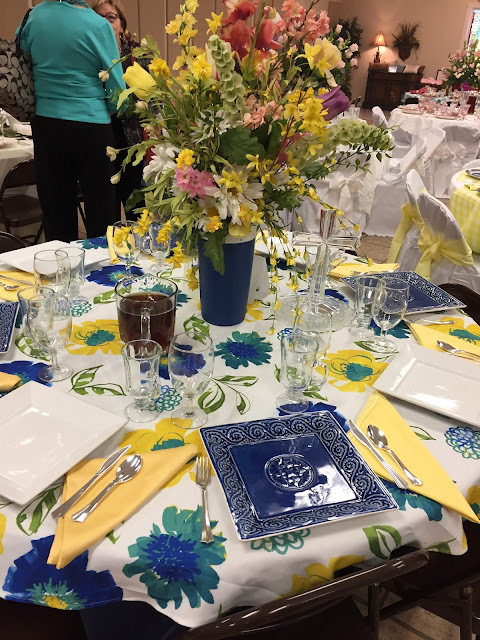 My mom's pretty spring table! 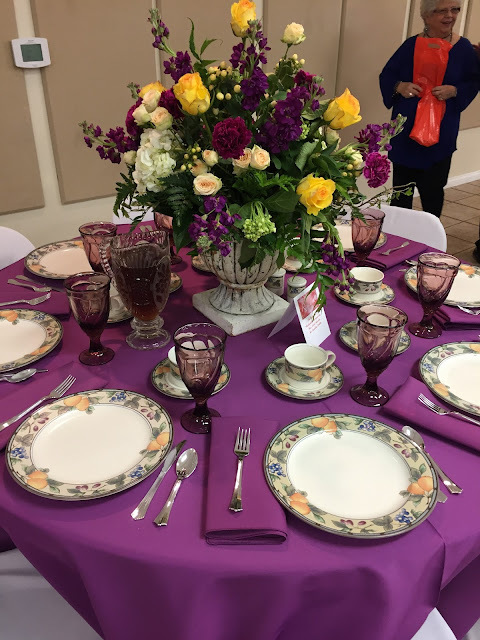 Aren't they incredible?! So much talent down here by our ladies in the south! 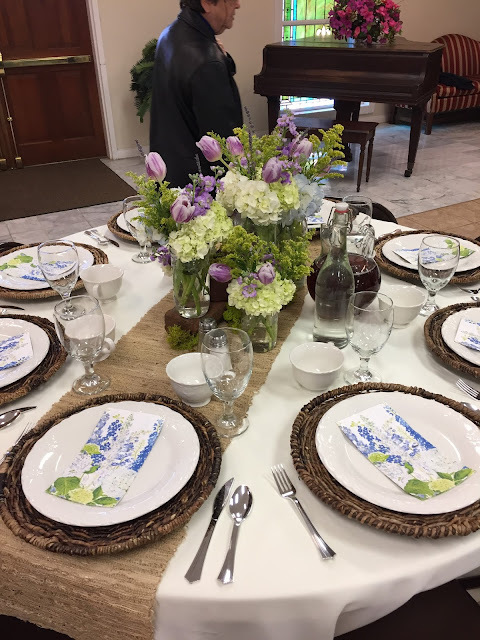 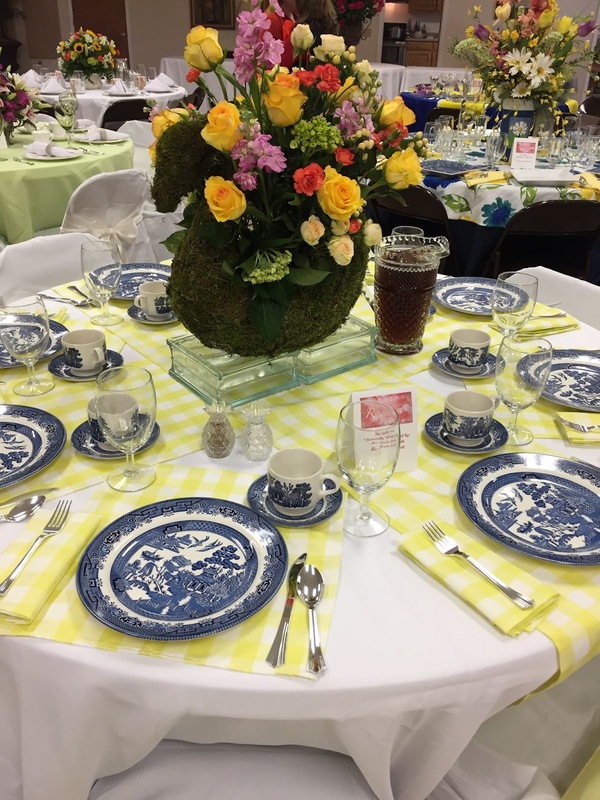 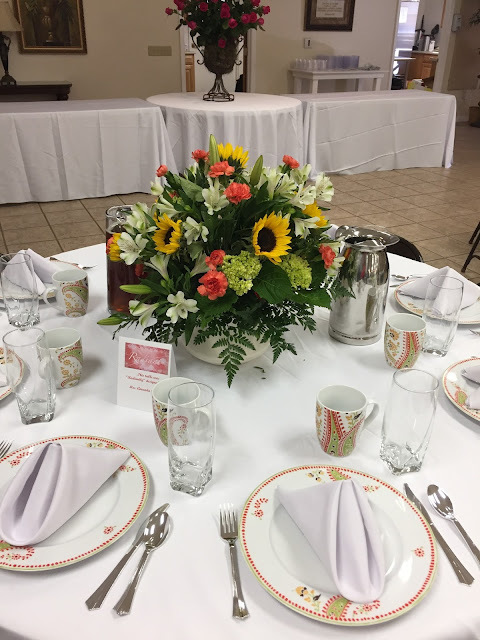 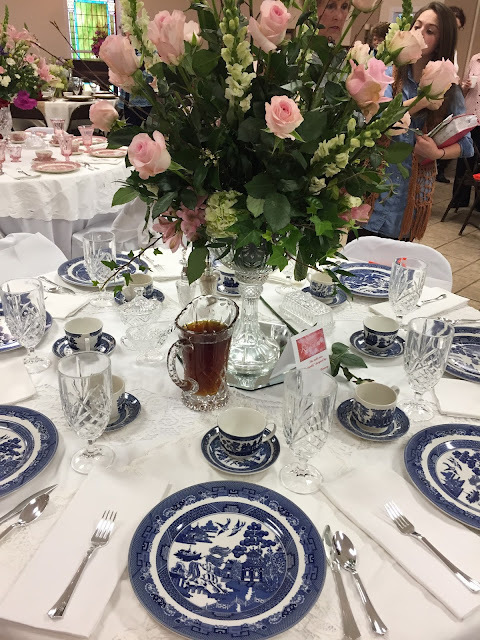 I hope it will inspire you to take the time to set a pretty spring table or to celebrate a particular holiday or special occasion with those you love.